Iven Oven is a home bakery in Lippo Karawaci, Indonesia. They make all kinds of cakes, but their terrarium cakes really take the… cake. Dammit. 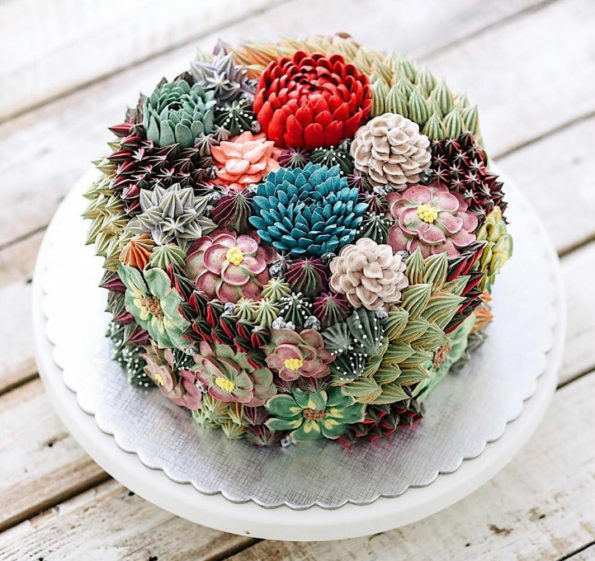 The frosting flowers and succulents almost look real. Here are just a few photos of the amazing work, but be sure to check out the bakery’s Instagram to see them all.